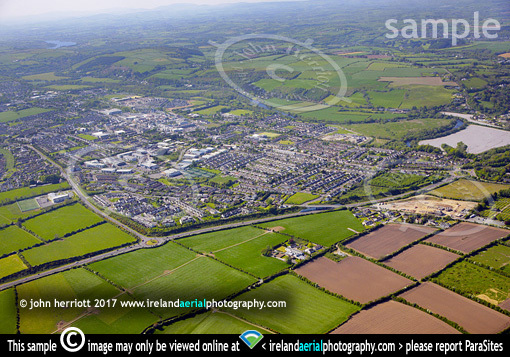 Ballincollig aerial photo from east of the town, Co Cork. from east of the town, Co. Cork. 3 miles to the west of Cork City. Towns close to Cork City.